I can make a really good loaf of bread for about two dollars, all told. That includes the cost of water, of flour, of yeast, and of the electricity used to make that loaf. I’ll invest about twenty minutes of actual labor into this loaf, with a lot of stops and starts to allow for rising dough and for baking. Let’s be clear: by “really good,” I mean comparable to a fresh loaf of bread bought from a bakery, not what you might find on a typical grocer’s shelf. My homemade loaf will be made from ingredients that I control, won’t include preservatives, and will be incredibly fresh when I eat it (which is reflected in the smell and the taste of the bread). If I go to my local grocery store, I’ll often find loaves ranging from $1.99 to $3.99, depending on the brand and the specific type. If I look at a bakery, I’ll see loaves ranging from about $4 to $10 or so. So, we’re looking at three options. The first option is to make it myself. That option will cost me about $2 and about twenty minutes of labor. This method will make a high quality loaf of bread. The second option is to buy the inexpensive loaf. That option will cost me $2 to $4 and about ten seconds in the grocery store. This method will produce a comparatively low quality loaf of bread (it will likely have preservatives and be made with relatively low-quality flour). The final option is to buy the expensive loaf from a baker. That option will cost me $4 to $10 and about five minutes (assuming I stop at an actual bakery). This method will produce a high quality loaf of bread. It’s important to remember that this isn’t just a choice when it comes to bread. You’ll find a similar dynamic with a lot of food items out there, from jams and jellies to crackers and peaches. It boils down to the same three rough options. You can buy the cheapest item. You can buy a much higher quality item. Or you can make it yourself with some labor, spending an amount comparable to the cheapest item to make a high quality item yourself. If you’re looking for the “best” frugal option here, you’re going to be disappointed to know that there is no one “right” answer to this question. There are a lot of other issues in the way. How much do you value the quality of your food? Is it really important to you that your food not have preservatives in it? Are you wary of foods with ingredients that you don’t immediately recognize? Or are these factors of less importance to you? How valuable is your time? This depends a lot on your situation. Some people with intense careers and family obligations are often highly pinched for time and thus their time has a pretty high value. Other people might have a low intensity career or are retired and don’t have other demands, so they may have a lower value for their spare time. There’s no “right” way to go here, just different life situations. How much do you personally value the act of cooking? Do you enjoy doing things like making a loaf of bread? Or would you rather avoid the kitchen entirely? Again, this is all about personal enjoyment. Let’s say a person has an hour or two each day to spend on projects that might save them money or otherwise improve their life. One big factor in deciding what to do with it is what the person enjoys doing. How large is your family? Many of the food items you make at home is preservative-free, which means it has a fairly short shelf life. If you’re a single person, you’d better get down to business eating sandwiches or else a significant part of your loaf is going to mold before you eat it. On the other hand, in a family of five, we can blow through a loaf of homemade bread in a meal or two. For me, it all really comes down to time. One of the few things Sarah and I do not skimp on is food quality, so we’re either going to make food items ourselves or buy the “good” version of it. So, do we make the $2 loaf or do we buy the $4-10 loaf? Ignoring how much I enjoy, I’m essentially spending $2 to $8 to save fifteen to twenty minutes of time. What am I going to do with that saved time? 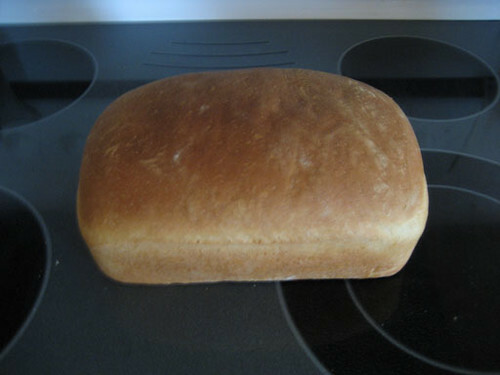 Am I going to do something with it that’s worthwhile enough to make it worth the $2 to $8 I’ll save by making my own loaf? If I’m just going to play a computer game or something silly, I’m better off making the loaf. On the other hand, if my schedule is already heavily crunched for the next day or two (guests, obligations, responsibilities, etc. ), I’m better off buying the loaf. So often, frugality comes down to your time, how you value it, and how you use it. To be frugal is to make productive use of your time, because if you do that, you’re going to naturally save money by doing things yourself.